Usage: wall cladding, facade, curtain wall, interior ceiling. 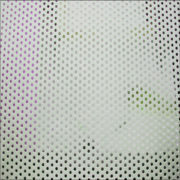 Aluminum cladding decoration is widely used with aluminum perforated panels with different designs nowadays. 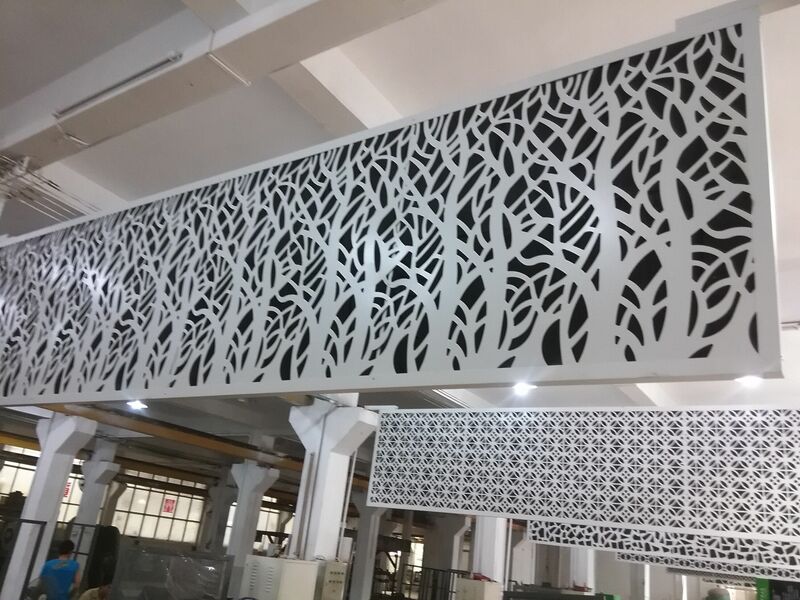 This design is fabrication with aluminum alloy 1100H24 materials, 3mm thick , cutting by CNC machines with customized perforated design, coating with white color Jotun powder coating both sides, with the size of 1200*4500mm. This design is popular used fixing with glasses and inside installation with LED lights. Standing the distance, it will be a good view with lights at night. 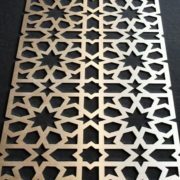 If daytime, it is good sight looking with the aluminum decoration panels coating color and cutting good designs. Aluminum cladding panels is simply in installation with the light weight and customized sizes. 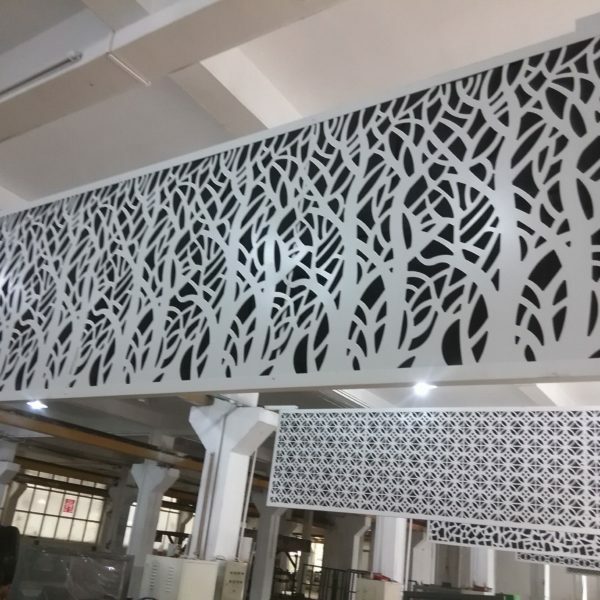 Usage: Aluminum cladding panels as they are customized with different designs, sizes, colors, thickness, they could be widely used in interior and exterior wall decorations, like hotel, subway, coach stations, gym, supermarket and so on. Aluminum cladding panels are widely popular in the markets of Australia, Middle east, Africa and America.